See a list of studies that are currently enrolling participants. 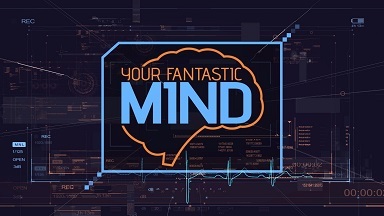 Research scientists from the Atlanta VA Center for Visual & Neurocognitive Rehabilitation (CVNR) have been featured in 2 segments of the Georgia Public Broadcasting’s (GPB) new television series, Your Fantastic Mind. This series features compelling stories on brain-related health and wellness, including innovations in exercise and partnered dance from our Atlanta VA researchers. Congratulations to our research scientists and thank you for the work that you do to help Veterans. To view Dr. Joe Nocera and Dr. Keith McGregor's segment featuring their research on exercise and the aging brain, click here. To view Dr. Madeleine Hackney's segment featuring her research on adaptive tango to help Parkinson's patients, click here. We celebrate Machelle Pardue, PhD’s many achievements in science with the award of the VA Rehabilitation Research & Development Senior Research Career Scientist Award. This award recognizes a select group of non-clinician scientists nationally for their VA research. It recognizes the VA researchers who are international leaders in their field, and have shown their commitment to VA research through scientific productivity, committee participation, teaching and mentoring, and taking a pivotal role in helping the Veterans Healthcare system fulfill its primary mission. Congratulations Dr. Pardue! Thank you for all you do to help our Veterans. Rachael Allen, PhD continues her VA research program with her newly funded VA Rehabilitation Research & Development Career Development 2 Award “Neuroprotective Strategies for Retinopathy and Cognition in Diabetes.” Dr. Allen will study the role of dopamine in Type II diabetes and investigate if dopamine restoration at the first signs of diabetic retinopathy will protect the brain and retina from diabetic complications. Diabetes affects nearly 20% of Veterans and that number is expected to rise to 35% by 2025. This project will start April 2019. Congratulations! The CVNR introduces Venkatagiri Krishnamurthy, PhD who has received the VA Rehabilitation Research & Development Career Development 2 Award “Multimodal Neuroimaging: Advanced Tracking of Longitudinal Aphasia Recovery.” Every year, 1/3 of the Veterans who are hospitalized with stroke develop stroke-related language disorders. Since the first few months post-stroke are important in the recovery of language function, Dr. Krishnamurthy will work to develop brain imaging methodologies so clinicians can accurately identify the parts of the brain associated with language recovery. Dr. Krishnamurthy has been collaborating with the CVNR for several years and we welcome him as a Principal Investigator in the center. Joe Nocera, PhD received funding for his first VA Rehabilitation Research & Development Merit Award. Dr. Nocera’s project, “Graded Intensity Aerobic Exercise to Improve Cerebrovascular Function and Performance in Aged Veterans,” will utilize fMRI to evaluate two primary measures that show the effect of various intensities of exercise on cerebrovascular health. These measures will help determine the impact of aerobic exercise on brain health in aging Veterans. Congratulations Dr. Nocera!